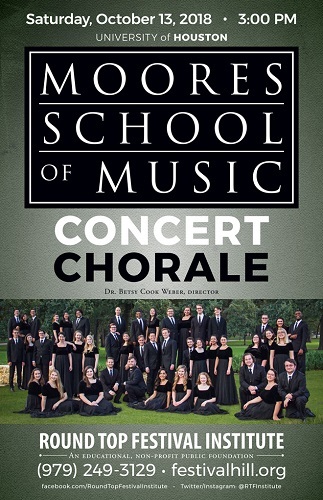 The award-winning Moores School Concert Chorale returns to the Festival Concert Hall stage on Saturday, October 13, at 3:00 PM. The Concert Chorale is the University of Houston's premier large choral ensemble. Adult $25. Student $10.